If you have been following my instagram, you may notice that I have post a lot of beauty related stuff each day with the tag #30daysmalaysianbeautychallenge ! This tag is basically just for fun! Although some of them thought it was a contest. -__-. Basically, we need to post each day with the subject stated in each days. I may skipped some days because sometimes I don't have the time and been a lil busy sometimes. Phew, this tag does take a lot of hard work! Haha! But it is really fun! I also made a lot of new friends that have the same interest as me! Makeupsss!!!! Whatever. Anyways, thank you Fyna for inviting me to this tag! She is the one who created it! Guys, if you still don't know who Fyna is do do do check her blog and youtube! She is like the mother of makeup and hijab tutorial in Malaysia! Thank you for everyone! I really appreciate the new friendship we made! Never knew makeup can keep us together! I love you guys! Wahhhh. Congrats! I managed until hari ke 7 je. Boo! haha! its pretty hard work! i thought its gonna be easy.. haha! lucky i mange to post all! 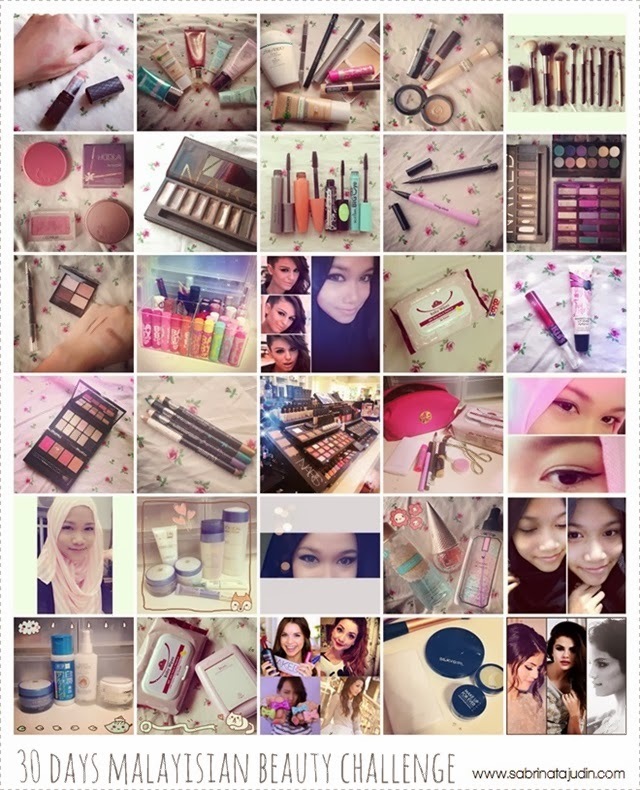 I always stalk your insta so of course always tengok update awk punya #30daysmalaysianbeautychallenge. i missed the last one, but i will do it soon..it was fun..i get to shop my stash and rediscover products I used to love...there were times when my hashtags don't work, so when i post pictures only my followers can see it because it does not come up within the hashtag..
seems soo fun,i shall try it too la! I couldn't do it at that time. Was having a nit of downturn in life but hey, maybe later? Congrats Sab for completing the challenge. I truly enjoyed seeing yours & others. it was pretty tough tho! i also find some days i skip but then i have to post like 1-3 theme in one day to cover the past days. hehe thanks! this I never completed >.< until hari ke-4 je haha. haha! u can sambung if you like!